DR MOHANS IXth CORDYCEPS TRAINING Dr Mohan Mushrooms Conducted its tenth Cordyceps militaris training in their fully Airconditioned Hi-tech Lab on 18-11-2018(Sunday) at Madurai, Tamilnadu. Totally Nine participants attented the training and Benefitted. The Participants are Sittin Left To RightMr.B. Deena Dayalan, Vellore Tamilnadu, Mr. G. Shri Hari , Bengaluru. Dr.S . Mohan , Mushroom Expert . Mr . Salim, Surat, Gujarat. Mr K.V . Srikrishna, Hyderabad.Standing Left to Right Mr. Prem Kumar Yelagiri Vellore.Mr B.K.Prabhu Hyderabad .Mr Hussain, Surat, Gujarat Mr P Gowrisankar, Erode , Tamilnadu and Mr Vellingiri Erode Tamilnadu. In the Morning session from 10 AM -2 PM Technical session was conducted. In which Cordyceps spawn production technology and Cordyceps Mushroom production technology was covered. In the After Noon Session after working lunch Demo on spawn production was conducted. In which Base spawn production mother spawn production Liquid spawn preparation and cultivation cup preparation were explained with suitable demo. Then in the discussion session was conducted participants raised good question and get suitable information from the experts.The training was came to an end around 5PM . DR MOHANS XII-th CORDYCEPS TRAINING Dr Mohan Mushrooms Conducted its Twelfth Cordyceps militaris training in their fully Airconditioned Hi-tech Lab on 20-01-2019(Sunday) at Madurai, Tamilnadu. Totally, twelve participants from different parts of our country attented the training and Benefitted. The Participants are MrAvinash Sunil Pabale, Pune, Mr.R. Dhasarathy, Chennai, Mr.K Umasankar, Uthangarai , Krishnagiri, Mr.G.Paranthaman, Walaja, Vellore.Mr H.B Sivakumar, Kothagiri, Mr.Sagar R.Japhav, MrNikhil Keshwani Jabalpur, MP.Mr.Jibran UZ. Zama Chickmangalur, Karnataka, Mr Chandresh Rathol, Jeypore, Odisha, Mr.Jagadish, Jeypore, Odisha, Mr.Vijay KumarKanwarjiya, Bubaneswar, Odisha and Mr M Raja, Madurai. In the Morning session from 10 AM -2 PM Technical session was conducted. 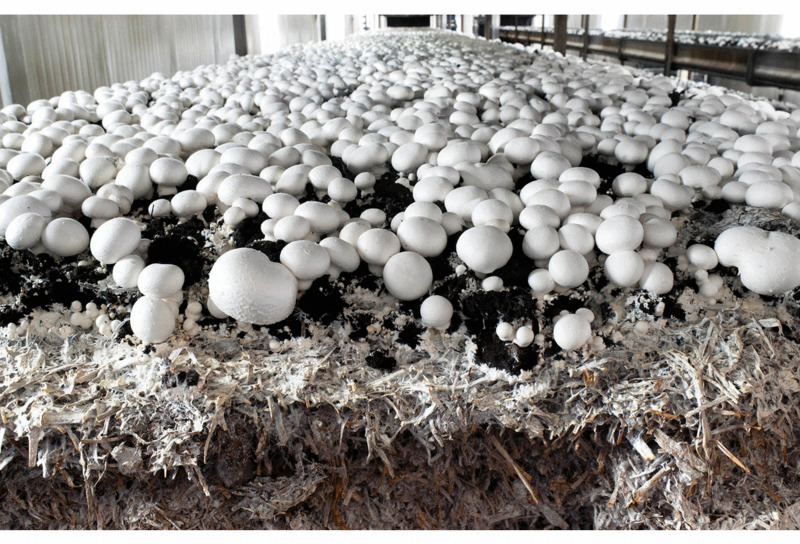 In which strating from cordyceps historyCordyceps spawn production technology and Cordyceps Mushroom production technology were covered. In the After Noon Session after working lunch Demo on spawn production was conducted. Then In the discussion session participants raised their valuable doubts. Dr Mohan cleared all their doubts and distributed reading materials for their future reference. Training came to an end at 5PM with this group photo. Next training is scheduled on February 24th Sunday, 2019.